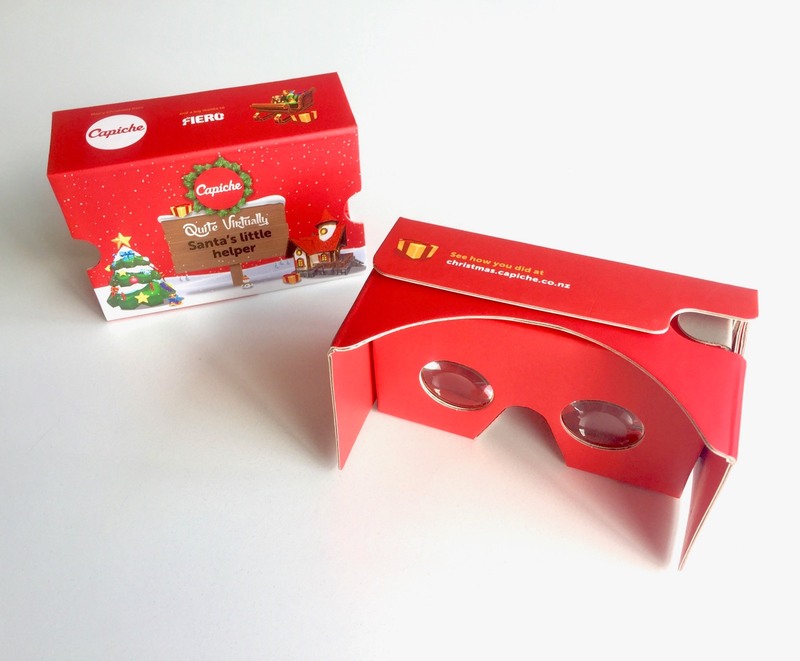 A fun client Christmas gift combining Unity, Google Cardboard VR, and real-time web app scoring through AngularJS alongside Firebase. I've had a keen interest in VR since purchasing an Oculus Development 2 kit several years ago. After purchasing a HTC Vive on launch in 2016 I decided it was time to try creating something myself in Unity. As a novice in Unity I decided a simple project in Google Cardboard VR headset would be a good place to start. I could even aim to make something as the Christmas gift we sent out to our company clients. 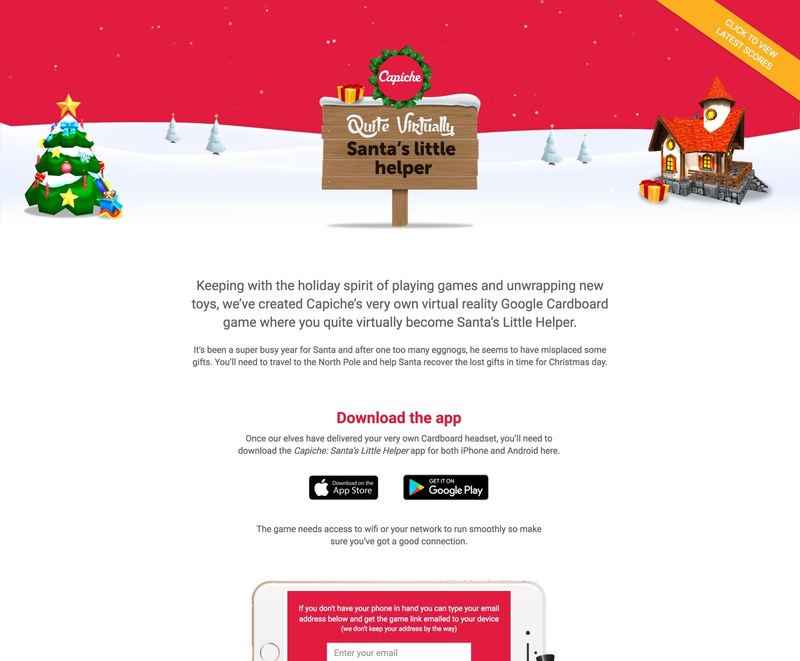 The game goal would be to collect all the Christmas presents around a scene in the shortest time possible. After making and showing a demo to the company we decided it was a great project and far too much fun to ignore. 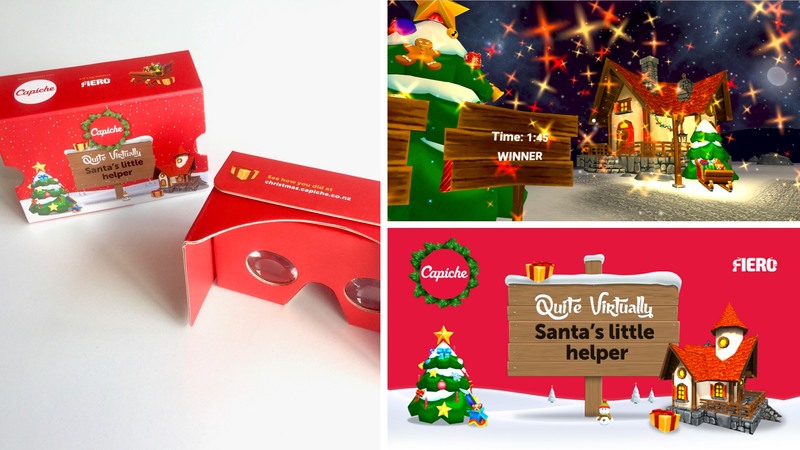 We would send out branded Google Cardboard VR headsets with instructions. The clients would then download the app and compete against each other for a prize with a set deadline (gameplay below). 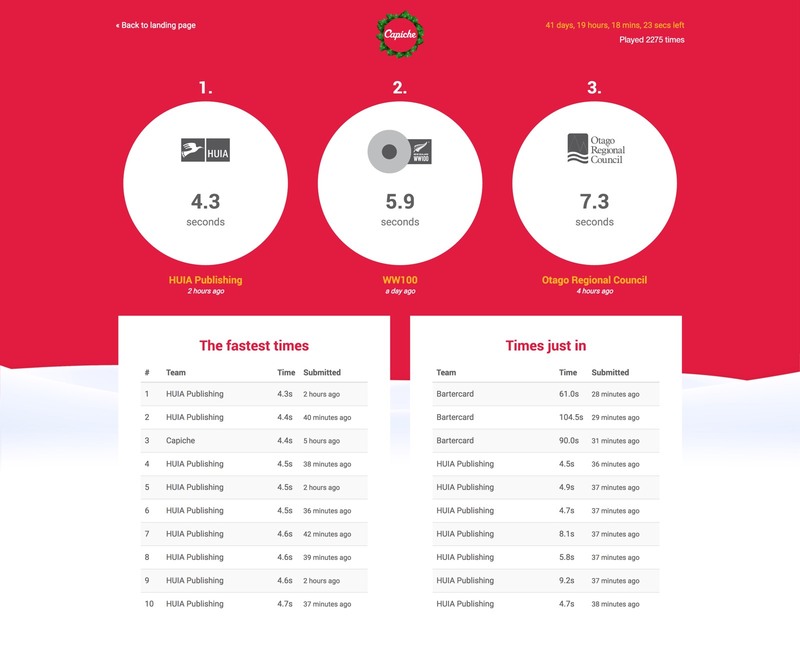 A website accompanied the headset (screens below) with further instructions and a scoreboard showing the latest top times. That way clients could see when their times were beaten (it was actually pretty fun to watch the times roll in ourselves). To refine the app, test and get it in the app stores for both iOS and Android we enlisted the help from a local games company called Fiero Interactive. The project was a great success with the game played 2275 times by some seriously competitve teams. A great project all round!